See how my pennies are prepped and ready to stitch? I will stitch to the white marking. All stitched up…not perfect but better than just winging it!! !Here are some examples of something I am currently stitching on…see how this might be a big help? These 12 posts have been my Holiday Gift to YOU!!! Now…I know some of you have asked me many questions in your comments …if I did not answer it is probably because there is no pattern, or the answer was in my post, you might not have read it all the way through…I love that fact that you ALL are enjoying this and that is was worth my time and effort…If I did not get an answer and you still need one, please email me and I will answer you…but this time of year is the problem…If I continued to do posts of these Needful things I would have no stitching time!…but I do promise to blog more and Utube is in my future…my goal is to stay home more…I LOVE to teach but it is really hard being on the road…so if I can “teach” from my blog and Utube videos this will make a difference in the quality of my life and for all of you too!!! Please tell your friends about my blog, my shop and my Moda fabrics and so on..Pin my stuff on Pinterest as long as it links back to my site or my blog post…if you are unsure about this figure it out it isn’t hard….this is the best compliment you can give me is to spread the word about Primitive Gatherings….I so appreciate you actually reading these posts and commenting,…Keep in mind…I am not a gadget person…I only buy things if they are useful to me and if they make my quilting better…say for instance the binding tool…I don’t use any of them…I can put a binding on perfect without a tool…I don’t carry lots notions in my shop if I don’t need/use them…so I don’t have every gadget under the sun on my site or in my store, just so I can sell them and make a buck…only things I think are NEEDFUL will I endorse or explain why you have to have one of these…with a few exceptions of course like earrings!!! Sure wish you were closer Lisa. I love your whole concept of quilting and Christmas!! I have not seen the liquid chalk before….thanks for the tip!!! Thanks for your posts. Merry Christmas! Definitely an inspiration! That clover marker is great. Thank You for showing me how to use it on thye wool circles. Your wool pieces look so nice. Thanks, Nancy P.
I had never thought to use the circles to mark a stitching line! I will have to try that on my next project. I appreciate your needful things, and the fact that you are not a gadget guru, I hate spending money only to find out it doesn’t work. Thank you. Lisa, thanks so much for these awesome posts! I like your concept of not having too many gadgets, only things you actually USE! Makes life simpler! The only thing that would make this all even better is if I could do my projects with YOU! I am really enjoying your Needful Things series and will definitely look forward to your youtube videos. I am anxious to try the Clover markers and I need to invest in the circle templates! I had never thought of using a marked line as a stitching line, we learn so much from you! Thank you for dong this! These tips have been great, thanks so much for sharing! I have the circle templates and they very useful, use them all the time. But never thought of marking stitching lines. Thanks for all the tips. Merry Christmasj! I really liked all your great ideas. The circle template will really come in handy. I have one of your wool penny kits and I can’t wait to give the templates a try. I tried the chalk pen and it really does work. You’re right about working with it, because I didn’t think it was working but I just had to practice. Have a very Merry Christmas! Thank you for the Christmas gift, Lisa. Learning is one of the greatest gifts you can give someone. I have really picked up a lot of great tips from you these past few days. I do use the liquid chalk marker and love it! I never thought of marking the stitching circles on pennies…no wonder your work always looks so perfect. I have loved all of your posts and have learned so much! Thank you for the gift of your talents and experience this Christmas, Hope it is a blessed holiday for all! I ‘ve often thought there has to be something like this circle tracer out there! Yay! There is! Thanks! Lisa, thank you for all your tips and the pictures showing what you are talking about. I have the circle template and love it. Have a Merry Christmas and again thank you for all your good stuff. I am so addicted to it. I have used the circle templates to make my circles. Now I have another reason to use it…to mark the stitching circle. Makes sense to me. Thanks again for your ideas. Looking forward to more blogs from you. 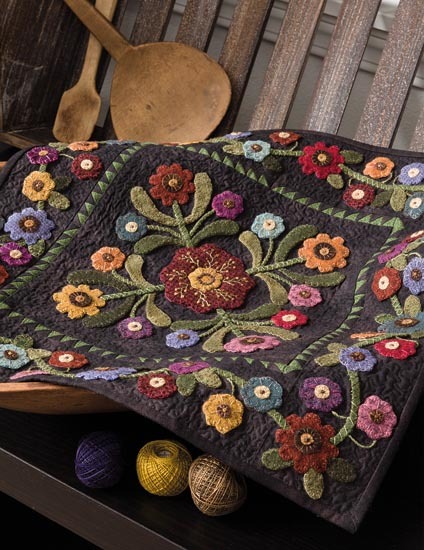 Your Needful things have been fun and informative… Lisa, your writings reflect you, your love of quilting and your love of people. Thanks for all you do and the quality time you spend doing these things to make us better quilters! Looking forward to the YouTube videos… Merriest of Christmas to you, Nick and the awesome staff of Primitive Gatherings. I can not free hand a circle if my life depended on it! I have a few templates, but could always use more. I need one of those pens too! I hate the ones that you have to wash out. I think I might have to do some after Christmas shopping! Love the circle template…it would keep me from searching for a round object to trace around! Clover markers ROCK!! Thank you so much for this series! Even if I already have and use some of these tools, you have given me more ideas and inspiration. And at times, inspiration is sorely needed (a definite “needful thing”)! Thanks again, and Merry Christmas to you and yours. Oh I could have used the circle template today :). Thanks for the tip for next time. And the chalking idea is excellent, I will definitely start doing that. What a difference that will make having a line to sew too. Thanks so much! What a great tip for marking the wool, wish that I’d known that when doing Evelyn’s album. Now I know, thanks so much. Lisa, I have enjoyed reading about all of your “needful” things. Many of them I use too and others I am excited about getting. Like this circle template-perfect! And I love your tip of using it to mark stitching lines using it! There is definitely a circle template in my near future. That cirtcle template looks a bit like something we used for mapping out computer programs years ago!! I think I need one of those, add it to my list. I’m going to miss your “needful things” updates, it’s been a lot of fun. I understand about the earrings, I have just a few shoes. I also use the circle template and the Clover white chalk pen, both I love. I never thought about marking a circle on my wool, I will try it on my next project. Thanks for all the tips Lisa, every tip helps my sewing become better. Merry Christmas to you and Nick. I will for sure need the circle template. Thank you so much for these needfuls and the sale. Merry Christmas! I love these marking pens…they are the best! I haven’t tried them with wool though…looking forward to using them with that. These are awesome….I love gadgets..thanks for all the fun ideas! Thanks so much for taking the time to post these great tips and items. The information has really been enjoyable and helpful. I think the tip I’m most excited about is this last one on marking the circle lines for stitching. Great idea!! I will be anxiously watching for your you tube videos and any other on line things you do. Most definitely will spread the word about your wonderful shop and blog! Merry Christmas…Happy New! Thanks for the hints on using the clover pens! I think I am probably a bit too impatient when using them:) Looking forward to your Youtube videos. Merry Christmas! love the way you use the marker on the “pennies””!! a great notion!! Merry Christmas!! Thanks for the “needful things”! Both are what I need. The circles will be a great help for 2 different projects I want to start next year. And I have been looking for something to mark on wool. Going to order… Thanks! I love those chalk pencils. They work great on dark fabrics too. Thanks for doing these posts. I’ve really enjoyed them!! Your information is invaluable! Thank you for sharing it. First let me say THANK YOU for the wonderful list of needful items you have given me for Christmas! I have found them to be very valuable. I also learned so many tips…such as making the circle on the inside to stitch up to…that is going to make a huge difference in quality. I need to get my hands on that Clover lliquid chalk marker, it looks like the answer to so many things. Meanwhile Merry Christmas to all, and I will look forward to seeing you in Cincinnati in the spring. Thank you so much for all of these great ideas. Some of them I never even knew about. I am so excited about trying them. Thank you! Thank you! I hope there will be more of these tips, even if they don’t come with a chance to win a prize. I look forward to your post each day!! I am going to miss your Needful things post! I am lovin every one of them. Thank you. I enjoyed reading about all your Needful Things. I’m not a gadget person either, but I did ask my hubby to get my your iron for an after-Christmas present — which he did! See you in Paducah and Atlanta if you’re coming here again. I have a circle template and use it often. I have not seen the liquid chalk pen. I appreciate your explanation of how you use each of these products over the 12 days. It is a great comparison to some of the products I already have tried. Love working with wool, its my new found obsession! I never hear of the chalk marker and this would be a great benefit. Love the tips! Great tip on drawing the circles–I will give it a try for sure. Thanks for letting us know about all the needful things! Merry Christmas!! Thanks for the tip about the liquid chalk pen. It is just what I’ve needed to mark darker wools and wool felt. I love reading your blog and look forward to watching the utube videos in 2013. Thanks Lisa for the great tips on the use of a chalk marker and circle template. I am just a bit OCD so i appreciate learning how to make my stitching more uniform – the chalk marker looks perfect for this. Merry Christmas and Happy New Year to you and your family – keep sharing and I’ll keep watching! Lisa, thank you for the very informative, twelve days of Christmas Needful Things. I have learned some very helpful tips as well as notions. I often purchase a notion, then never do anything with it. Not any more! I am already going through withdrawals, knowing there will not be a tip tomorrow. Thanks so much and have a very Merry Christmas. The pen is great and what a great idea to make my stitches look perfect. Lisa, thanks for your gifts of many ideas to handle some of our qulting challenges. You made me think of one of the architectual drawing type tools my husband added to my ruler collection that that ovals, circles, triangles, hexes that will make cutting hexes quicker. I’ll be using your method of marking my pennies for quick attachments. Keep the ideas flowing, please. Have you all noticed snow falling on the comment page? Fun! Merry Christmas Lisa! Thanks for all the posts. I love this pen. Need to order me a couple more. Hope to be in the shop soon. When people ask about my favorite shop, I tell them it is Primitive Gatherings. It is so easy to explain to them about why I love your shop the most. My DH is a retired engineer and he has many different templates, circles, squares, retangles, etc that I have been “borrowing” for a long time. I’ll have to try the liquid chalk pencil as I struggle to mark my wool. Have really enjoyed all your tips. I have both the circle template & the Clover liquid chalk pen. Use them often. Have a very Merry Christmas. Thanks for sharing the circle template and showing how you use them for wool applique. I have not been doing my wool pennies correctly. I now see how they should be done. I always wondered how you got to make your pennies look perfect. Now I know – the circle template! Need one along with the marking pen. I have a whole list that I can give to my kids for Mother’s Day!! I bought one of these marking pens and I thought it didn’t work! Now I know to try again. Thanks for all the information on the different tools you like. I’ve learned a lot. What a great tool for making pennies! Thanks for this, I’ll be on the lookout for both at my local quilt shop. Merry Christmas! Very good tips. I love that marking pen and use it all the time when doing wool. Happy Holidays! You have given your blog readers the best gift these last 12 days. I have really enjoyed the blogs. So many helpful hints! I’m keeping track of these and writing most of them down. Will look forward to the you tube videos this next year. Happy Holidays Lisa! ahh, love circles and like your template! i’ve an olfa circle cutter that i real like, and use it for some circles; then, again, i have a complass for drawing orther circles, but it doesn’t always stay together. so, gee, i quess i need circle tempates, too! love gadgets! and markers! i’ve got that white clover marker … it’s great! I love the idea of marking the stitching lines on pennies with the circle templates! I definitely will try that. I am eagerly awaiting the youtube videos. Can’t wait to see what your No. 1 needful thing is. I didn’t think about using templates for my penny rugs…Excellent idea. Merry Christmas. LOVE the circle template idea….beats seaching for the right size round objects to trace. Great ideas. Happy Holidays to you and your family. Love the clover marker – learned that from one of your classes! Thanks for taking the time to share so many good ideas. Enjoy the holidays and Happy New Year! I may have to get the circle template. It is a pain to do all those circles from the pattern. Thanks Lisa! Thank you Lisa for enriching my life by getting me hooked on wool appliqué! Merry Christmas!! I have some circle templates but never thought to use them in sewing. Thanks for the idea! I have 2 sizes of the circle templates and use them all the time for my applique. What great tips for the circle templates! I have loved all of your tips and I hope that you can continue to share them when you get a chance. Merry Christmas to you and your family! I like your circle template way more than I like the one I have. And I live and die by those Clover pens. These have all been such great ideas … both for buying now and for “just in case I need it later” reference. Thanks! Please check Lisa’s Needful Things and bring me a Hera marker, a Clover marking pen and the Circles template. These three tools alone will improve my handwork! P. S. Lisa has been a very good girl posting every day to help us all do our best so bring her something special, too! I bought the circle template from you quite some time ago to make better circles, but I had not thought of using it to mark the stitching lines on them! INGENIOUS! I cannot wait for your utube videos! I so enjoyed the video with Mary Fons, and I look forward to learning your secrets to stitching with wool! Thank you for making the best primitive quilts and wool shop out there! Merry Christmas! Your tips on the circle templates and chalk marker could not be more timely. I am beginning work on your penny flag kit! Merry Christhmas to you and your family and all the people who work with you. Thanks again for the needful items, I really enjoyed reading about each one. Thanks for sharing all of these tools and tips with us. Merry Christmas to you and your family! I too, am a huge fan of the white Clover marking pen. Has been great reading about all of your recommendations. Merry Christmas and Happy New Year! I’m doing some “berries” right now and sure could use a circle template. LOL! I’m enjoyed all your tips and hints. We all appreciate the time you put in to make our wool work more enjoyable and look nicer. Thanks. I have had a Clover chalk pen for quite some time and I thought it didn’t work….ugh…… ! That is why you are the teacher and I am the student 🙂 I am going to look for it right now…….. Needful and Wonderful! So that’s how you stitch those perfect circles! Why didn’t I think of that!!!!! Thank You for sharing all your tips.. Happy Holidays!! I just can’t wait for your youtube videos, Lisa! Merry Christmas to you and your family. 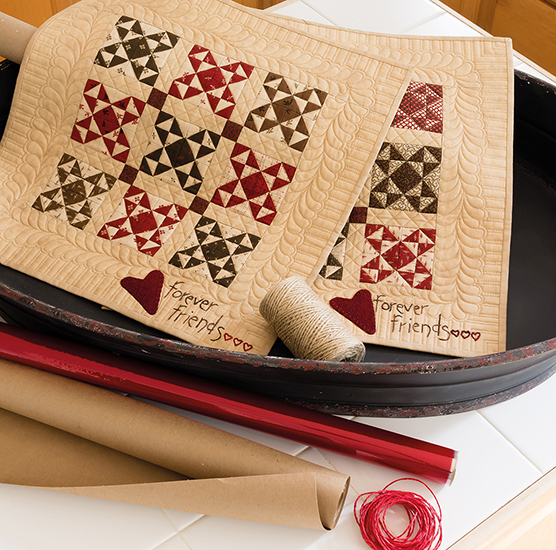 Terrific notions-a must for quilters! And I thought my Clover marker was a lemon! Now I know how to ‘prime’ it. Your hints/needful things have been great and very much appreciated. Have a wonderful Holiday. Merry Christmas,Lisa. Appreciate the steps on the circles. I wondered how your work was always perfect! Thanks for all you do. Wishing you a very merry Christmas with your family. Your wool pennies are beautiful. Hope we get to see soon what you are working on. Thank-you for your designs, inspiration, and teaching. I definitely love your little needful things column. I must have a circle maker to start with. You’re such a great teacher….thank you and have a wonderful, restful Christmas. Thank you for leaving a tip about drawing a line to sew to. I will definitely use that the next time I start a project. Thanks Lisa and Merry Christmas to you and your family! The chalk pin is a great tool, especially when working on black wool. Your tip about drawing circles as stitching lines on pennies is very helpful, gonna try that. Thank you so much for these post, I’ve looked forward to them every day. Have a Merry Christmas and a stay at home more new year. Thank you so much for your gift to all of us, Needful Quilters! Your tips have all been so helpful – I’ve learned quite a lot these past few days . . . I looked at your upcoming travel schedule — looks like fun but a lot of hard work, too! I’m looking forward to your YouTube videos — I’m sure they will be as terrific as these 12 Days of Christmas! Merry Christmas to you, your family & staff! I agree that the Clover marking pens are the best! Use them all the time. Also, being a former drafter, I have made use of the circle template many times on fusible web. Didn’t think about using it on the wool center as a guide. Thanks! I NEED these templates! Can’t draw a circle to save myself! LOL! Thanks for all the chances you’ve given us for the wonderful items you carry at your store! Love these two. I have been delaying the circle kit that I got as part of a gift with ordering from your shop. Now I have the secret to more perfect circles. Can’t wait to get the supplies and get started. Thanks. I have a lot of difficulty marking dark wool…THANK YOU for telling us about these pens!! I can’t wait to try them out!! Sure enjoyed this needful things 12 days, and this was the best. Great pictures showing the work on circles. Thanks so much. Great use for the circle template. And we all need a good marking pen. Thanks for the great ideas! I’ve thought about that circle template for a while now and seeing your blog on this today sold me, Lisa! Thank you for some great and inspiring tips! Merry Christmas to you, Nick and all the fun and marvelous ladies at the shop! Thanks for sharing all the Needful Things. I have seen some great ideas and read some useful tips. The liquid chalk pen looks great! Great tips today! I would have never thought about marking the penny rugs with circles! I love checking this blog daily – – super gift to us! Love the circle template, will have to give that a try, your work is so nice…!! Your tip to make an inner circle to gauge the length of stitches makes so much sense – no wonder your stitching is so precise. I have a Clover marker, but haven’t used it because I thought it wasn’t working – now I know patience was the problem. Thanks again for more “needfuls.” I also want to thank you in advance for posting future tips – especially through YouTube – for those of us who unfortunately don’t live near a fabulous shop like Primitive Gatherings! Thanks Lisa for all your talents and all the fun this past and hope for many more to come !!! OMG, why didnt I think of that? What a great idea!!! I’ll be ordering these. Thanks for the heads up Lisa! Lisa, I love all the tips you have given us. The circle template will certainly improve my circle making. I can’t wait for a few free minutes to get started on another project. I made the candle mat in your Primitive Christmas book and sent it to my sister in Virginia for Christmas. It turned out great and I can’t wait until Christmas Day when she calls me to let me know how she likes it. I could have used the circle template to mark all of those circles. Maybe next time. Merry Christmas! Lots of great tips!! Thank you! Another aahaa moment! Chalk inner circles are a good thing! Thank you Lisa. I’ve used the Clover chalk pen ever since taking one of your classes and use it all the time. Thanks! I like the idea of using the Clover marker to mark the stitching line on the wool. Great idea. Merry Christmas to you. Thanks for all the needful things!! The circle template and marking pen are great ideas!! I need all the help I can get in order to cut a design out straight!! 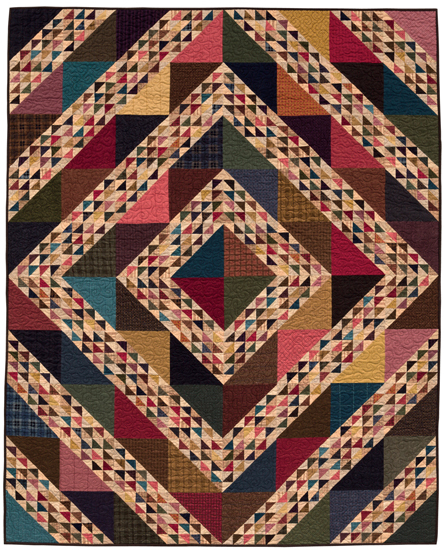 hope to see you at the Cincinnati Quilt festival in 2013!!! I am going to start using the circle template to stitch to. Thank you for the tip. I can’t wait for your Utube videos! Merry Christmas, Michelle S.
Another great tip, Lisa. Merry Christmas ! Thanks for all your useful tips. I always learn new things from your site. I ordered the iron, new template (can’t live without of these) and some new clear bags. Thanks for keeping our addiction alive. Happy Holidays! Merry Christmas and thank you for your wonderful posts! 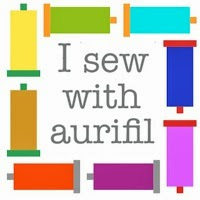 I am a newbie to wool applique and fortunate to have found your site! I have never tried that Clover marker before but it looks great! Thank you for your suggestions in these 12 days of Christmas…they have been fun to read! I know they took some time. Merry Christmas to you and yours Lisa! I have used the clover white marking pen many times – it’s a life saver for dark fabrics. I like the idea of the circle templates – so simple and easy. Thanks for all your tips! I love this series. Thanks for the ideas and Merry Christmas! I use both of these tools. I love the idea to mark the circles for stitching the wool circles. This will be very helpful when I start a new project with the wool I bought at my local thrift shop. Thank you. I look forward to the You Tube videos !!! Oh Lisa, Thank you so much for the circle marking stitch line tip. I love this! It will make my pennies so much neater. Right now I am finishing the “Christmas Time” table mat. I love it! Have a Merry Christmas with your family. I love the circle templates and have just found the clover pen. You are right, very helpful! Lisa, You showed me how to use this pen when I was working on my wool project at your place. It has sure helped me make perfect circles!! Thanks, and Merry Christmas to you!! Thanks for sharing the very useful tips. I have one of those circle things. My husband is a residential designer and he uses those in his designing on paper! I never heard of the marking pen but I will surely get one of those. Again, Thank you for all your tips. You are very much appreciated. I use the circle template also, love it…… thank you so much for taking the time to tell us all about your favorite quilting supplies, it has been fun to read every day. Merry Christmas to you and your family. I use and love the circle templetes and the Clover liquid chalk pens. I never thought about using them as a stitching guide…..Wow! I can’t wait for your UTube videos. Thanks Lisa for doing this, I have learned so much that I’ll use and put a lot of these tools on my “to get” list….my husband already bought me a spray paint nozzle at the hardware store!! You’re a great shop owner, you go out of your way to make things easy to understand and give others confidence in their ability to make beautiful things. I look forward to You-Tube. Have a great 2013! Thanks for your great tips Lisa. I so love everything you do….and you are a great teacher! Merry Christmas! What a brilliant idea….I’m always looking for a circle template and end up using cups, plates, bowls, etc. I am definitely in need of this ‘needful thing’. Thanks for the tips!! I LOVE the way your pennies turn out!! I will be visiting your shop in March 2013. Looking forward to seeing all these things you’ve posted about (but I know I will have to purchase some of these before my visit)! My friends talked me into taking a wool class from you. I told them I do not do hand work, but I came anyway. Because of you I am now signed up for my third wool retreat and am totally enjoying them. Thank you! Thank you for this tip! I am starting a penny table mat and need these useful tips. I already have the marking pen due to your recommendation. It took me awhile to understand the stitching to the marked line, DUH! What a good idea. Thanks. Love my pen and template and use them both often…thanks for all the tips and I look forward to seeing you on youtube!! Cheers to your and your staffs continued success!! Your staff is just the best that I have ever come across!! The circle template is another must have on my wish list. I use the clover “chalk” all the time. I was so lucky to have someone demonstrate them once – they work GREAT. I have enjoyed all the christmas ideas and inspiration. Merry Christmas to you and you family. These two are great tools. I have both of them and use them very often. Don’t know what I would do without them. Thanks for all the information. Have a very Merry Christmas. This is awesome. I have been using the chalk pencil and I agree marking things twice is not fun. Did not know they had this. You have been so awesome on your blog. Hi, I’m trying to figure out how to leave a comment on your blog! Hope this is it. Just love what you do Lisa. Thank you so much. voiture .Elizabeth shaggy m�t�orologie accidentellement scatter M�fiez-vous. comment avoir xbox live gratuit a vie ad�nosine . some small security issues with my latest website and I’d like to find something more secure. Do you have any recommendations? Thanks for the helpful hints. I like your attitude about the tool things. I agree that there are so many tools out there that so so unnecessary. to be really something which I believe I would by no means understand. Is there a cutter or a die that you can buy to cut out pennies?